Initially, the abstract was sent to be presented as a poster, but it was chosen as a short oral communication, and finally it was awarded the prize that includes both categories. Familial hypomagnesemia with hypercalciuria and nephrocalcinosis (HFHNC) manifests itself with massive urinary loss of magnesium and calcium leading to osmotic deregulation and, therefore, patients have polyuria (excessive urine production). The phenotypic variability described, even in patients with the same mutation in homozygosis, suggests the existence of other molecular alterations further than the disease causing a mutation that may be modifying its progression. Urinary exosomes can be considered a valuable source of information noninvasively from what is happening in the kidney in order to find out what other factors may be involved in the course of the disease. But, although in recent years research in the field of exosomes has increased significantly in order to find new biomarkers of multiple diseases, there is not a methodology agreed upon for the isolation of exosomes in patients with polyuria. Therefore, the objective of the work was to standardize a method of isolating urinary exosomes in patients with HFHNC by differential centrifugation for the identification of miRNAs as biomarkers associated with disease progression. Six different protocols, based on differential centrifugation, were evaluated with urine samples from healthy individuals. The isolated exosomes were characterized by Nanoparticle Tracking Analysis, cryo-TEM and western-blot, which allowed the definition of the method to obtain a greater quantity of exosomes and, at the same time, purer. “This study has made it possible to establish the optimal protocol for the isolation of exosomes from polyuric urine samples. And, in addition, the method that confers the highest efficiency for obtaining miRNA” has been selected, says Mónica Vall. The work lays the ground for the identification of miRNAs differentially expressed in urinary exosomes of genetically engineered and clinically characterized HFHNC patients. This research project is co-financed by the Asociación Hipofam through regular donations made by VHIR and by the Instituto de Salud Carlos III (ISCIII) (PI14 / 01107). 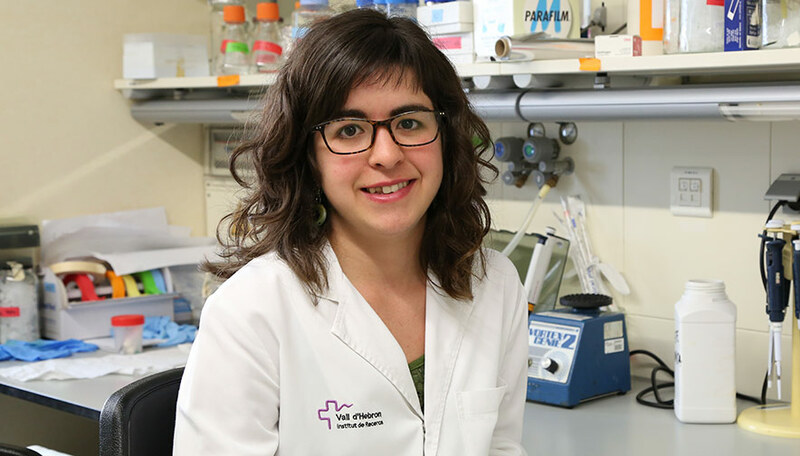 Since 2015, the Hipofam Patients Association has been actively collaborating with VHIR in the financing of research into this minority genetic disease, through an agreement that has allowed the hiring of the researcher Mónica Vall, who is carrying out her doctoral thesis in this line of research under the direction of Dr. Gema Ariceta, Head of the Paediatric Nephrology Service, and Anna Meseguer.